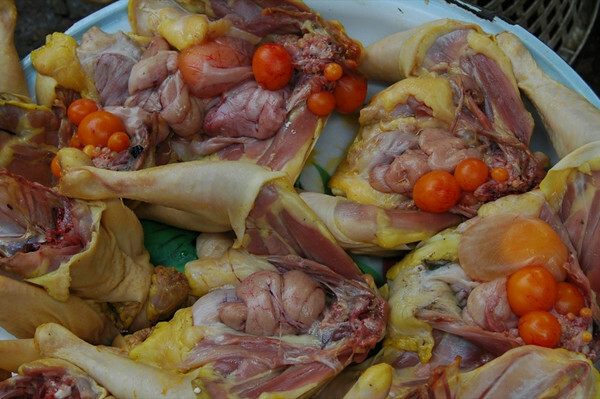 The Battambang market had something we hadn't seen before - chickens cut open with the yolks embedded in the uterus. 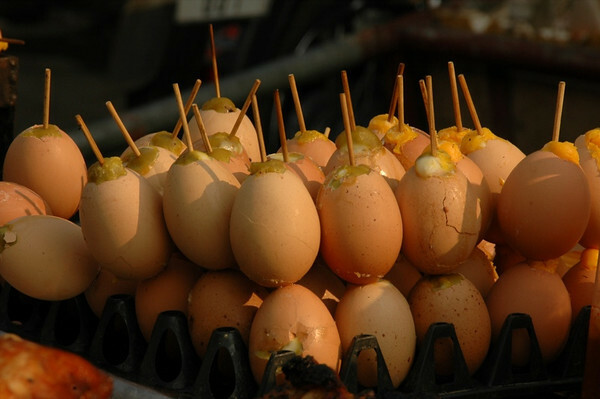 As our cooking teacher explained, these yolks are considered a delicacy. Read more about a Cambodian cooking course in Battambang. Market Vendors - Battambang, Cambodia Read more about a Cambodian cooking course in Battambang. Apparently, fried lotus flowers are a treat. 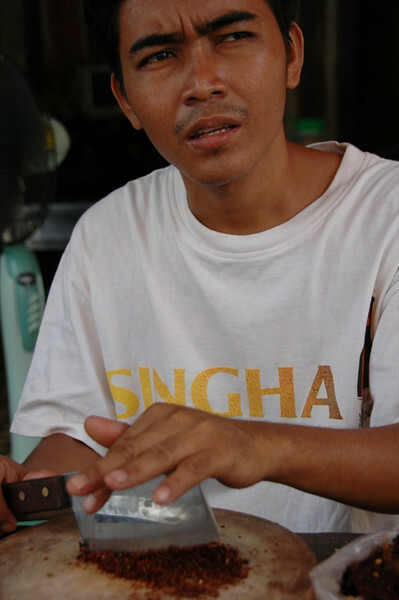 Read more about a Cambodian cooking course in Battambang. Vegetables and Flowers - Battambang, Cambodia Read more about a Cambodian cooking course in Battambang. 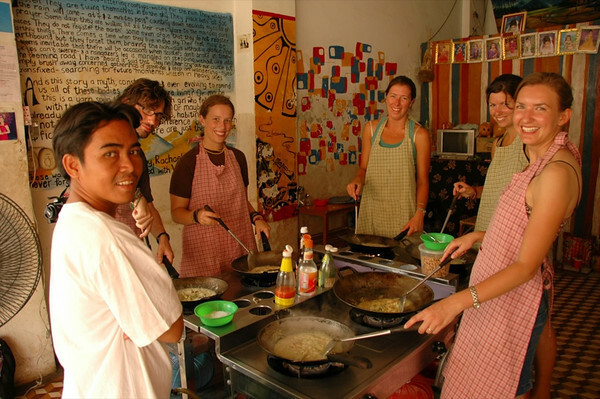 Australians, Canadians and Americans all learning Cambodian cooking. 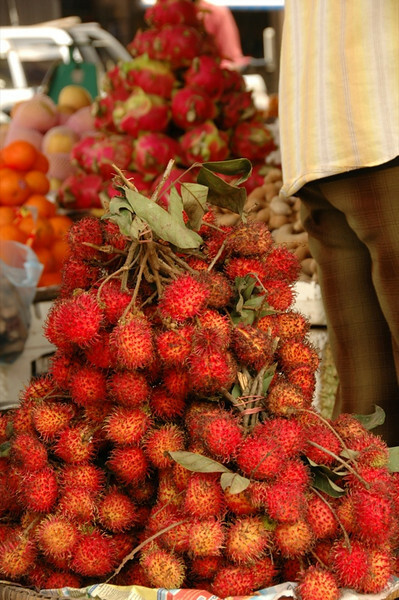 Read more about a Cambodian cooking course in Battambang. Only the first of many steps in filling the mortar for a preparation of amok. 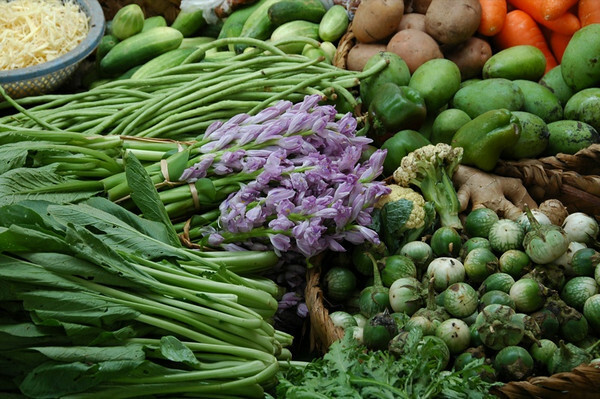 Read more about a Cambodian cooking course in Battambang. Clever name for a restaurant.... this is where we took the cooking course. A great course and a great deal ($8). 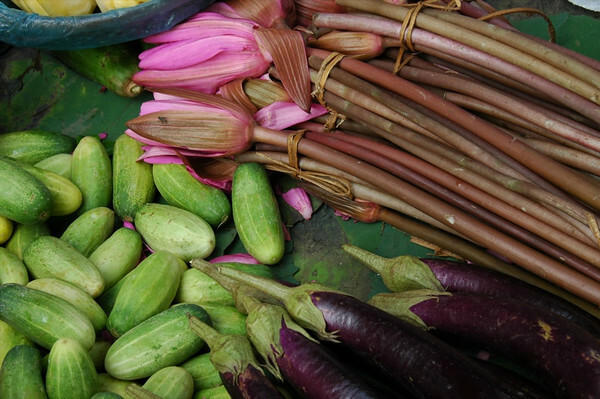 Read more about a Cambodian cooking course in Battambang. 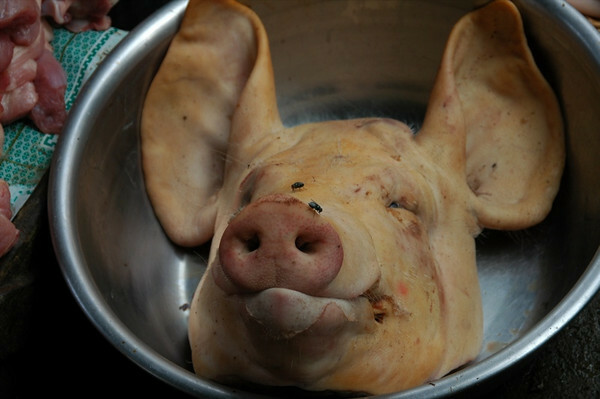 Our cooking class well on their way to some tasty amok. 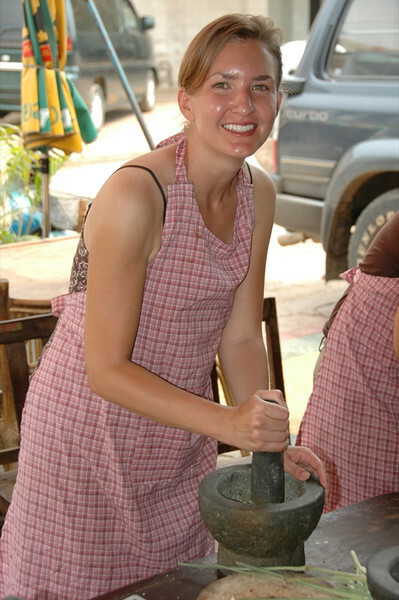 Read more about a Cambodian cooking course in Battambang. 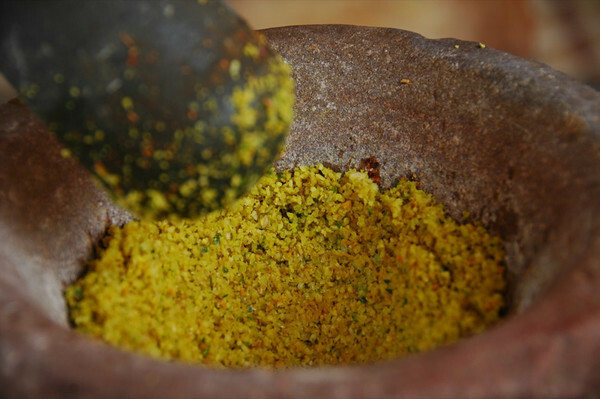 Grinding the chillies, garlic, turmeric, galangal, keffir lime leaves, and lemongrass into a smooth red paste for amok. 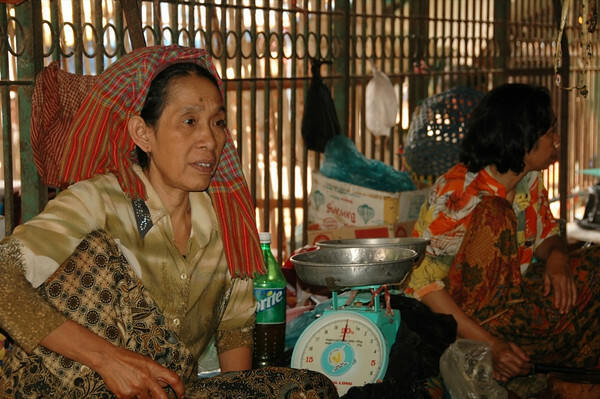 Read more about a Cambodian cooking course in Battambang. Another one of our cooking masterpieces....even the teacher was sampling the fruits of our efforts with approval. 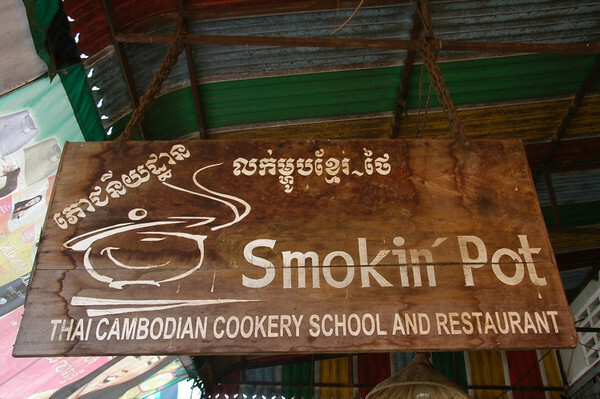 Read more about a Cambodian cooking course in Battambang. 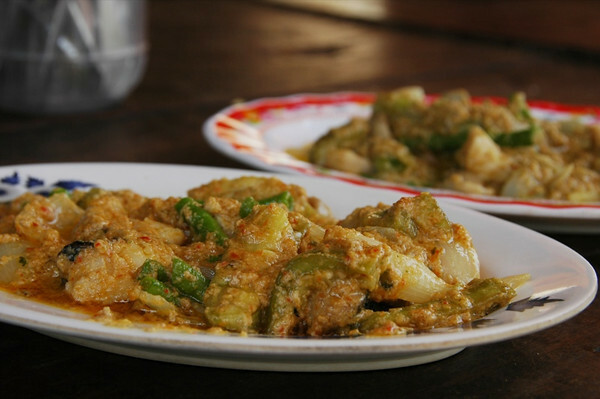 A similar paste to the amok curry paste, but without all the chillies. 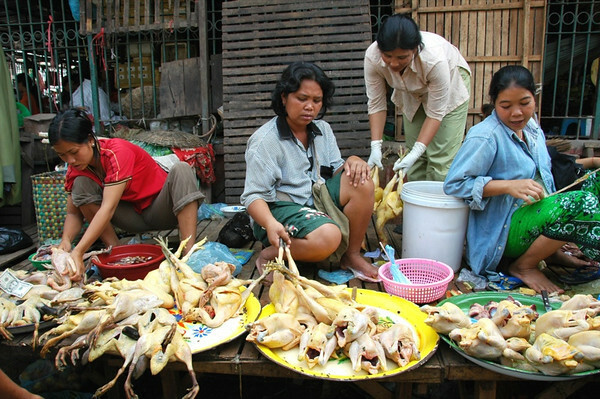 Read more about a Cambodian cooking course in Battambang. The first few times we saw eggs on a grill we thought we were hallucinating. Our cooking teacher explained that the eggs are boiled first, some pepper paste is put on top, and then they are grilled. 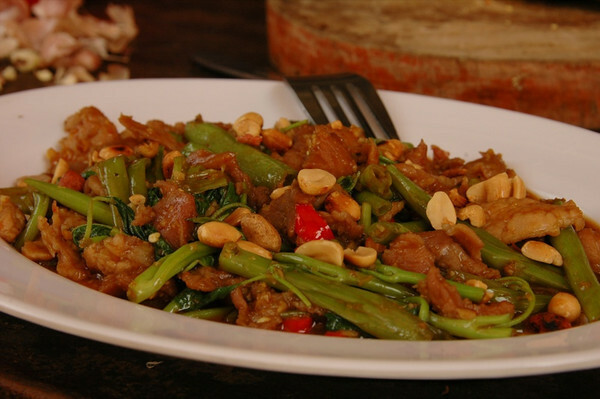 Read more about a Cambodian cooking course in Battambang. Our instructor was able to chop chillies so finely without even paying attention...it was like watching a TV cooking show. Impressive. 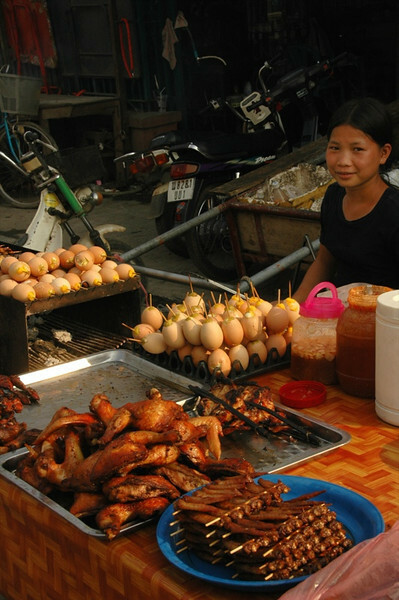 Read more about a Cambodian cooking course in Battambang. 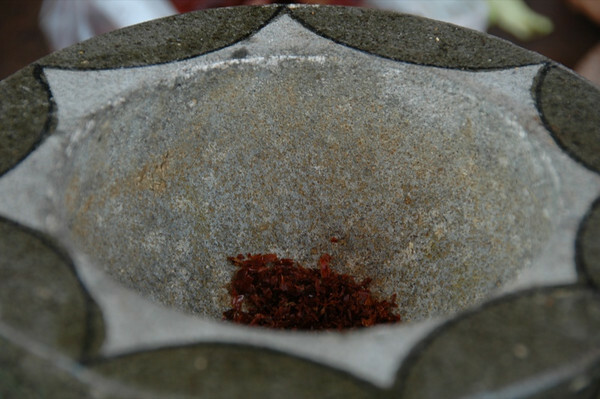 Read more about a Cambodian cooking course in Battambang. Chicken legs and grilled, skewered eggs. Yes, skewered. Never seen that before. 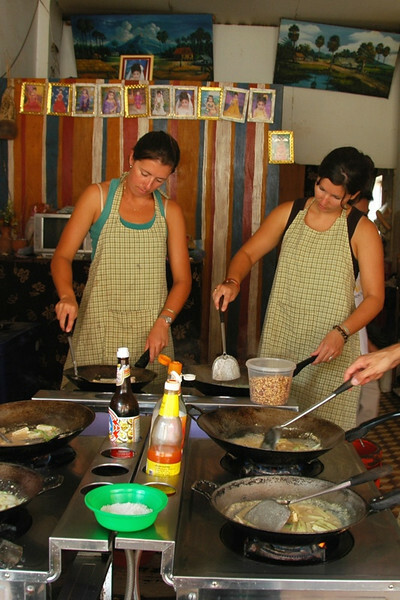 Read more about a Cambodian cooking course in Battambang.